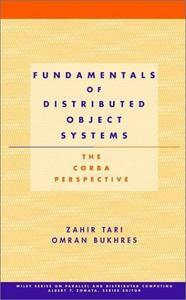 Distributed Object Computing teaches readers the fundamentals of CORBA, the leading architecture for design of software used in parallel and distributed computing applications. 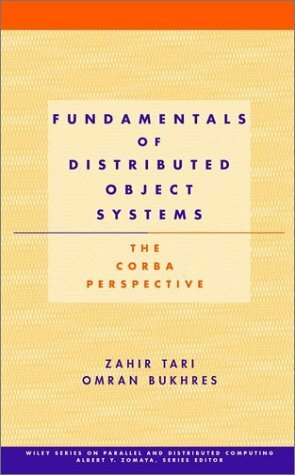 Since CORBA is based on open standards, it is the only effective way to learn object-oriented programming for distributed systems. This language independent book allows material to be taught using Java, C++ or other Object Oriented Programming Languages. This book is clearly a reference, and research material rather than a hands-on programming guide. While there are many code fragments to support the authors’ explanation of concepts, and the largest single chapter is on CORBA programming there is no single project built throughout the book as is often the case in programming guides. I much prefer this approach of being a reference rather than building a project. For example, code or diagrams illustrate things such as SII, DII, DSI, IFR, Exceptions and Any, which gives a competent programmer enough to experiment with the various bits of CORBA. For implementation using BOA, some good diagrams show implementation option using the TIE approach, handy for Java, which has single inheritance. It would be useful though to have some code fragments of a POA implementation in this section.